In some earlier posts I talked about our trip to the UK this past spring and I thought I'd go back and share one of the highlights of the trip. 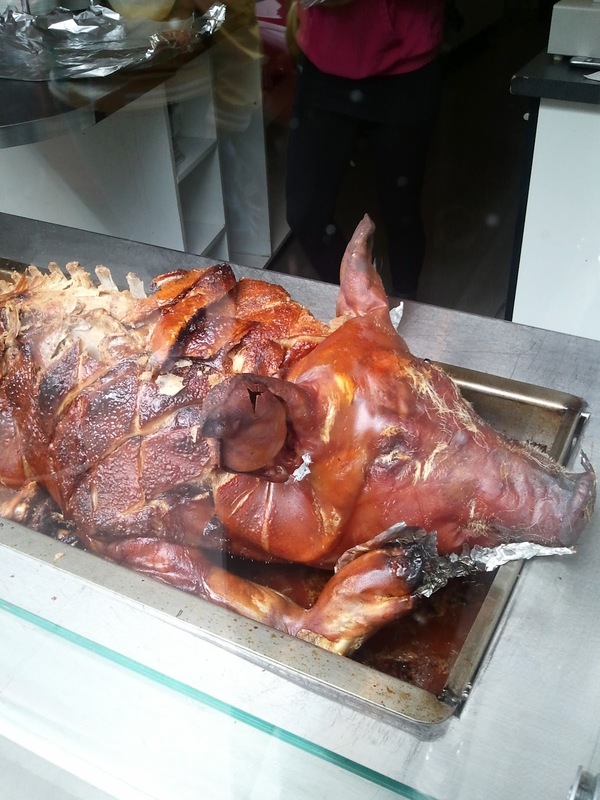 It was the first time to Scotland for a couple of us and we found a fantastic way to explore the city, a walking tour called Eat, Walk, Edinburgh. It was a perfect introduction to the city. Alan, our host and guide, was knowledgeable about the history, architecture, and food of the area. He's very open and gracious and had a wonderful collection of anecdotes to add color and interest. Our tour took us through both the Old and New Towns and throughout our tour Alan provided stories, historical references, and easily answered our questions. 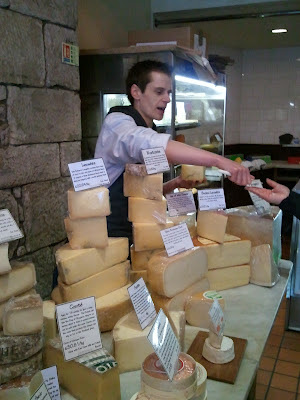 Our stops included restaurants, artisan shops, and bars. Everything was delicious. So let's get to the food. We started at the Hotel du Vin near the University of Edinburgh. 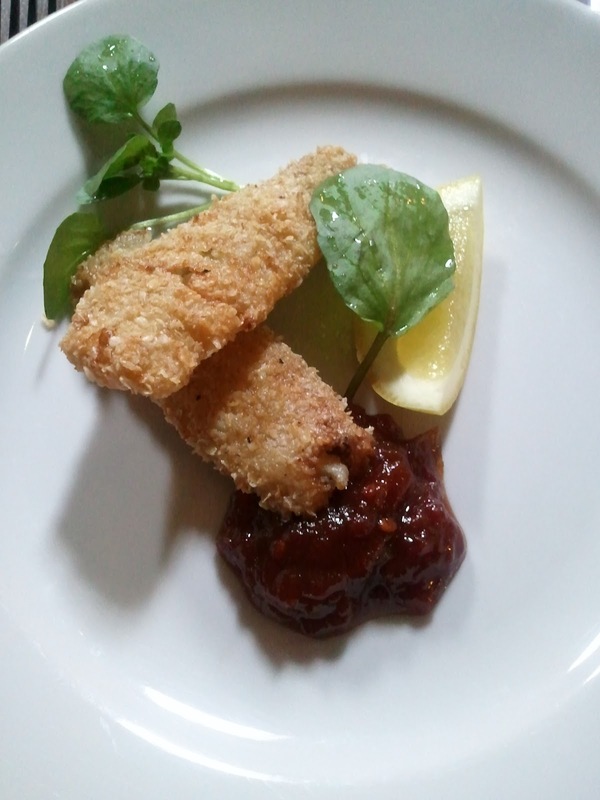 Our first dish was oatmeal crusted herring with a tomato jam. The herring had a very strong fishy taste which was offset by the tartness of the savory tomato jam. And as you can see, it was beautifully presented. One of my favorite areas was Victoria Street where we stopped at several artisan shops including wine and spirits shop and, my favorite, a cheese shop. 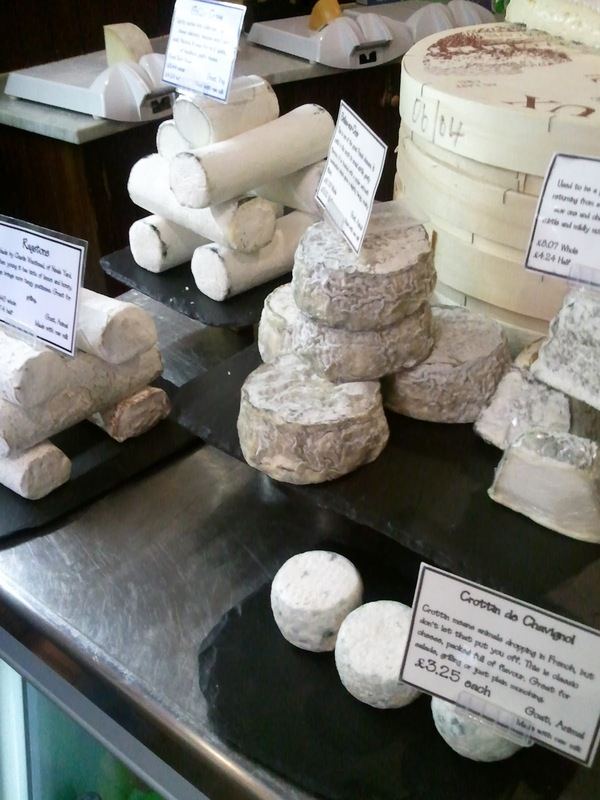 I have a weakness for cheeses, especially the very ripe and stinky ones. 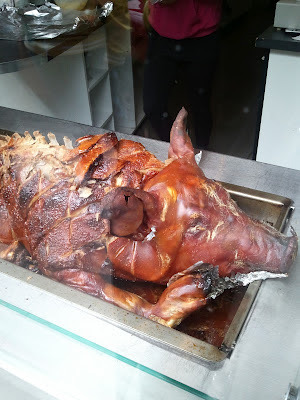 see how they do barbeque. 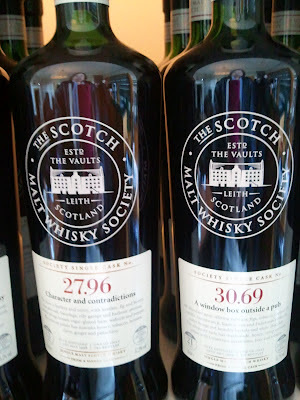 A unique stop for me was the Scottish Malt Whisky Society. Not being a big drinker myself, this isn't a place I would have sought out on my own. 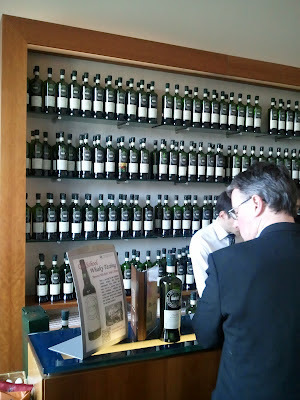 I learned a lot that day about how whiskeys are made and what's different about this particular organization. They purchase individual casks of whiskey and serve them unblended. 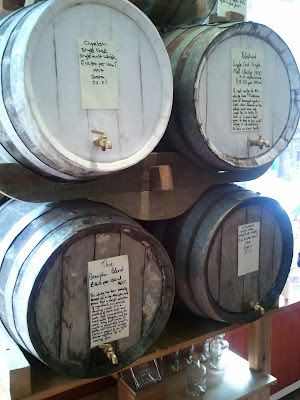 I learned that each cask, even if they are from the same batch, has a unique and different flavor. Each are given detailed descriptions to help the member select the cask that's right for them. We were each given a dram of whiskey (56 proof) which we tasted first without water. It was much too strong for me but once we added a little water I could start to taste all the flavors of this particular whiskey. It was really quite amazing. 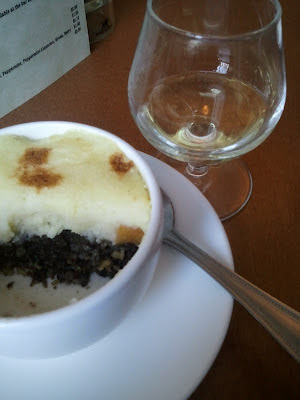 Served along with the whiskey was an individual serving of haggis, neeps, and tatties. Yes, we ate haggis and I thought it was wonderful, particularly in this presentation. The haggis was served with little cubes of neeps (turnips), topped off with tatties (potatoes), slid under the broiler and presented like a little shepherd's pie. I thought it was delicious and could have made a meal of it. We had several more stops on this tour, these were just the highlights. The walking was very easy, the food was delicious. It was a great way to spend an afternoon. I learned a lot, I ate a lot, I would do it again. Also, don't just take my word for it. Read the reviews on TripAdvisor.com.